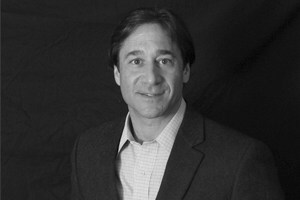 David Singer, Co-President and Chief Executive Officer of the Singer Energy Group dba’s Robison/Robison Energy and Original Energy, David attended Syracuse University where he majored in Political Science and Finance. A graduate of the Benjamin Cardozo Law School in 1987 and member of the New York State Bar, David joined his family business as Vice President to help the company engage in an aggressive growth by acquisition strategy. Over the next 13 years, Robison under Singers management would acquire over 22 of its regional competitors. As the company grew, David became less involved in legal matters and more involved in the day to day management of the company. The Robison group has over 200 employees and over 24,000 customers. After being joined by his brother Daniel in 1996 adding additional operating expertise, David set out to leverage the Robison brand and skilled employees and began to introduce additional product lines such as Air Conditioning, Natural Gas Supply and Service, Electricity Supply, Home Performance Services and Products, Air Duct Cleaning, and the recent addition of Mold Testing and Remediation. David uses an innovative and contemporary management style that has helped create a large but personable organization. Robison employees feel empowered and are encouraged to create relationships with each individual customer. The growth and diversity of the organization has presented interesting challenges. To make the company successful the staff would have to be able to handle a large volume of customers without letting any one customer feel neglected, and employees needed to be cross trained and proficient in a number of products and services. Under Singer’s leadership, employees were retrained in a number of different skills, and the corporate culture was changed to encourage employees to accept new products and challenges with a “Can-Do” attitude. Today Robison is the premier brand for energy supply and home services in the metropolitan area.